The last two days I have felt frumpy and not very photogenic so I’ll let the clothes do most of the talking. 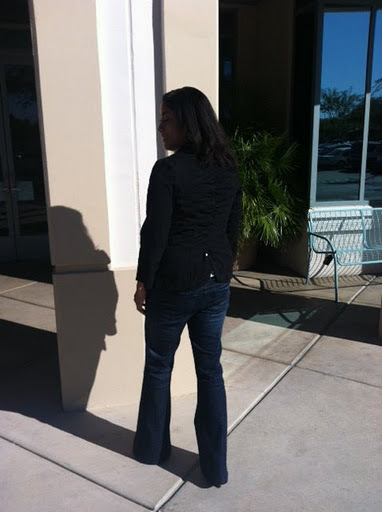 Day 15: I really love this black blazer, it’s lightweight with three-quarter length flared sleeves and has a ruched center back seam. 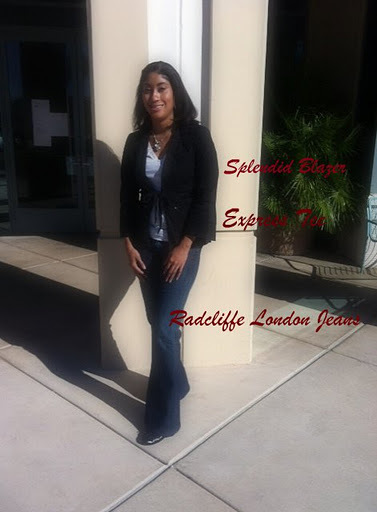 The flared jeans are from a discontinued premium denim line called Radcliffe London. Day 16: I got this purple dress for $5 from Old Navy on clearance, I also own this dress in grey. 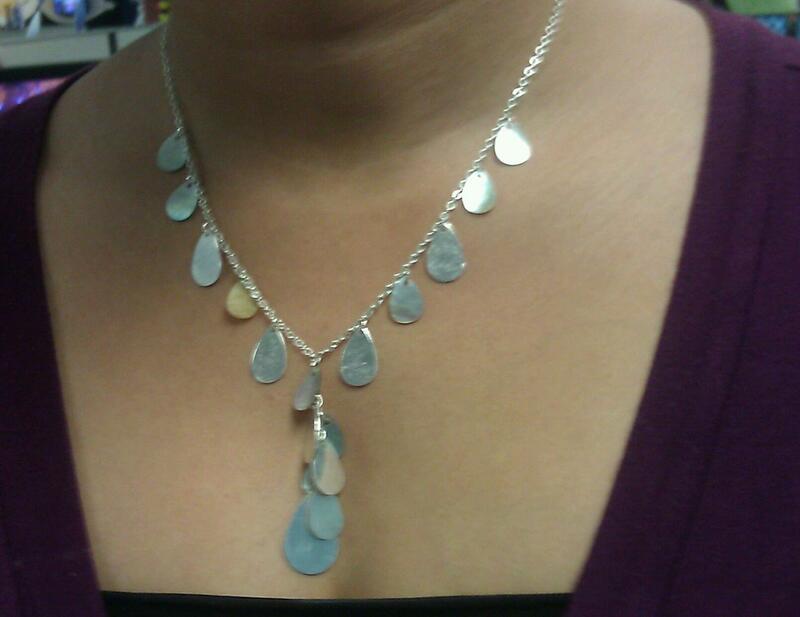 I usually only wear this necklace and earring combo on special occasions but I decided to put them on today. They are sparkly, pretty, and feminine without being too girly.